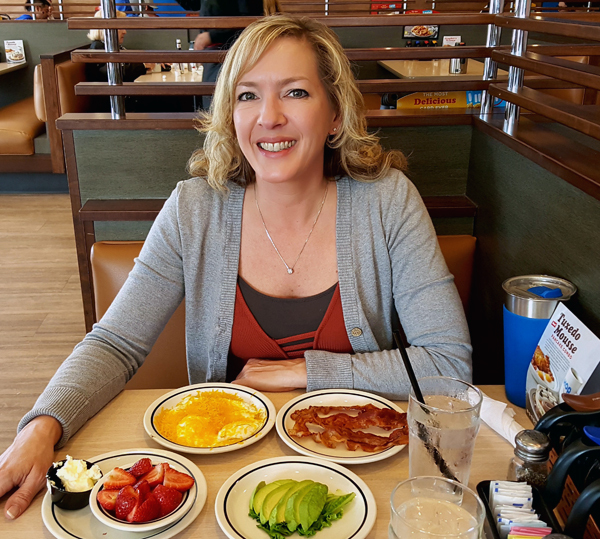 You may think it’s crazy that I would intentionally choose an IHOP restaurant when traveling or dining out with friends, but if there’s one anywhere around… IHOP is always my top pick for a GREAT low carb meal! First, because they always have the freshest avocado and strawberries. And second, because I can easily get a REAL FOOD MEAL that is very low carb and only whole foods – and plenty filling. 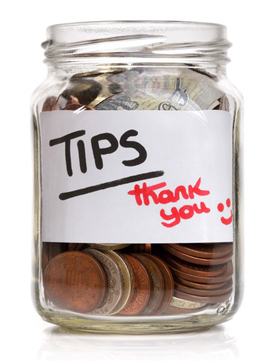 That can be hard to find when you’re on the road or dining out! I always order the same thing so I don’t even have to look at the menu anymore, but I’ll share some other options & ideas with you for variety. I’ve never had any problem with this order. 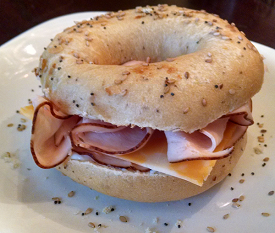 It comes out pretty much the same every single time, with slight variations per location – and whether I ask for two slices of bacon or four. It works better (1st photo) if you order “a la carte” instead of ordering a breakfast meal and replacing the carbs with other sides (2nd photo). Avoid the omelettes and get eggs instead. 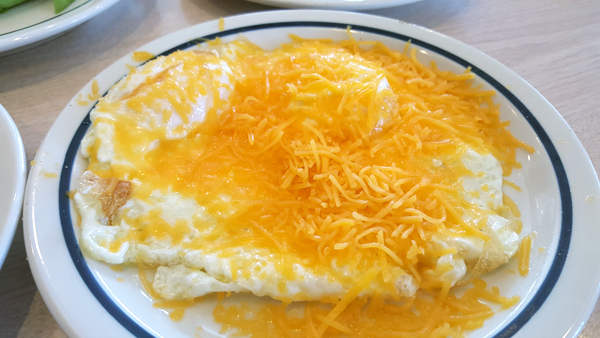 I’ll show you the details on their omelettes in a minute, and how to order one if you DO want to get an IHOP omelette made low carb. 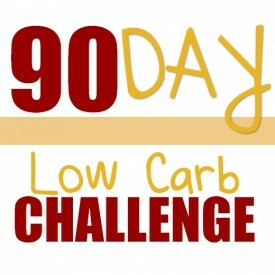 They offer soft or hardboiled eggs, fried eggs, poached eggs and scrambled eggs that are all low carb. You can see the macros for each on the IHOP Nutrition Facts handout. I love their bacon, but they also have: sausage, sausage links, turkey bacon, turkey sausage, ham, steak, pork chops, grilled chicken, sirloin strips, t-bone steak and other “just meat” options you can request. 💡 You could order a burger without the bun for example, and ask for avocado slices as your side in place of the french fries. 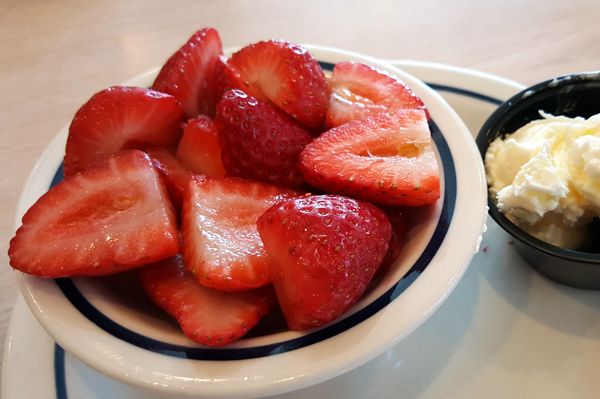 They always have GREAT strawberries too, which is another easy low carb side item you can order or use as a substitution. I order mine with a side of butter (which IS real butter, btw). 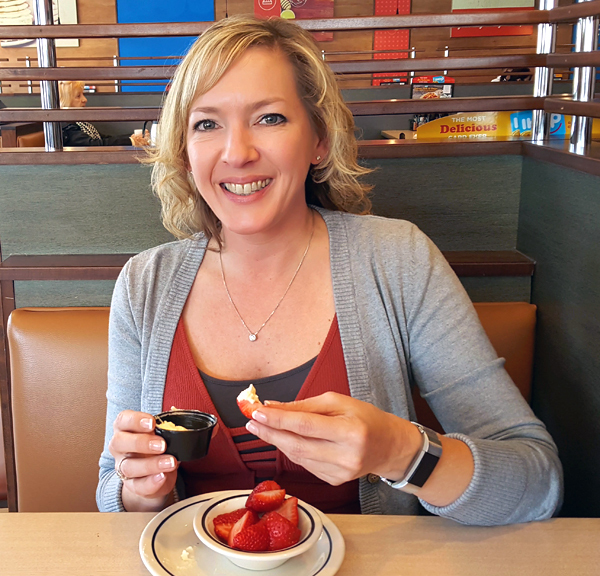 This is always my low carb dessert or treat of choice at IHOP, and yes – I just dip the strawberries in butter! The omelette without cheese or ingredients is listed as 7 carbs on their nutrition facts. 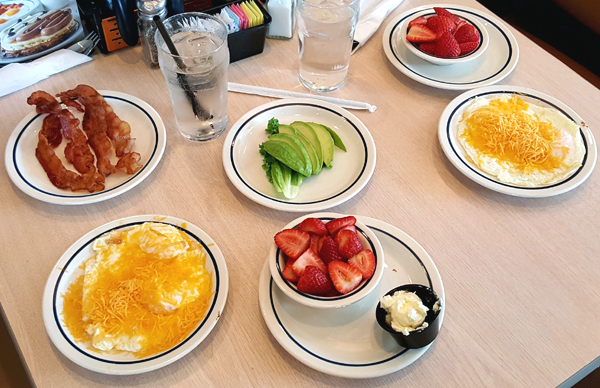 I’m not sure how many eggs are in one IHOP omelette, but eggs are .4 carbs each (just under half a carb each) so 3 eggs is only 1.2 carbs. That tells you they’re obviously adding something to make them thicker & fluffier. 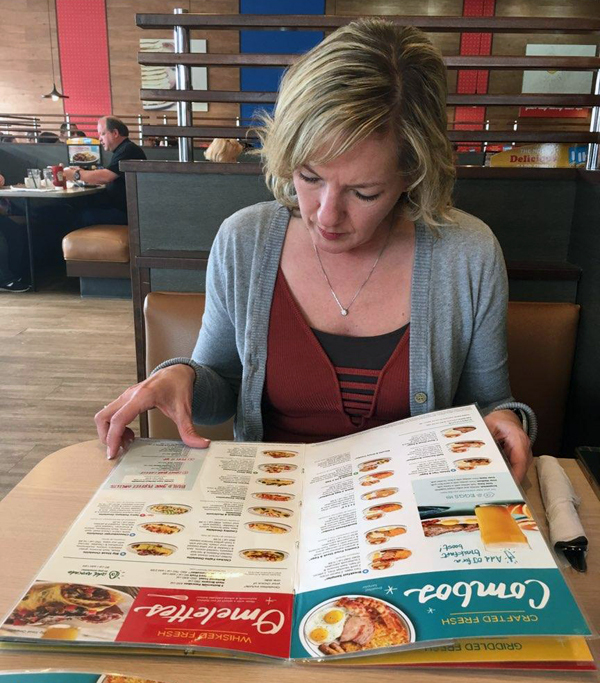 The IHOP menu may be full of low carb options, but it’s a HUGE menu -lol. ALWAYS double check the IHOP Nutrition Facts before making a decision! Your health, your weight loss goals, your allergies or sensitivities, and your preferred way of eating are your responsibility – and yours alone. You don’t want to hold up your date or your whole dinner party, or get stuck on the spot and make a bad choice. You also don’t want to throw a million nutrition questions at your poor server, because she is only trained to be a great server – not a nutritionist. 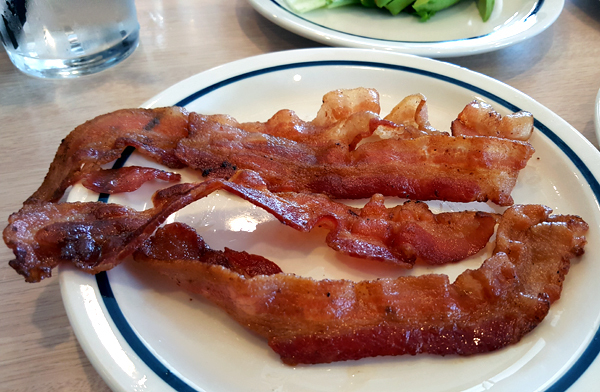 IHOP has salads on the menu, and you’ll find those on the nutrition facts handout too. They also have burgers, so you could order a burger or a sandwich without the bread or bun, and choose a healthy side (like avocado, bacon, strawberries, side salad, etc) in place of the fries. The Chicken Florentine Crepes plate looks really good to me. I would order that meal WITHOUT the sweet crepe, then you would just be getting: grilled chicken, mushrooms & onions and swiss cheese over spinach with a white cheddar sauce (or without the sauce if you are skeptical of it). 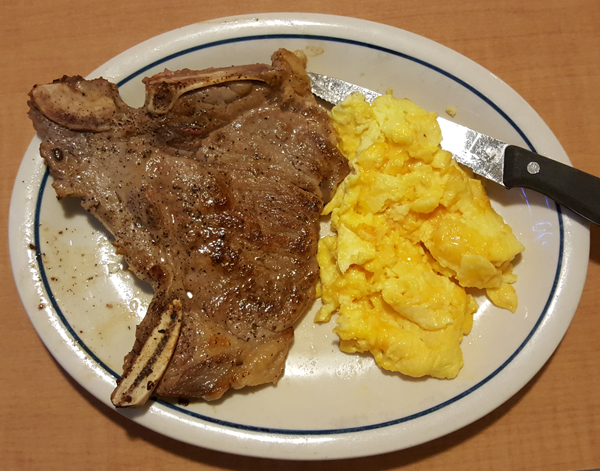 They have sirloin tips and t-bone steak on the menu too, which I’ve ordered before with eggs. It was delicious! I usually scour any restaurant menu for low carb foods. 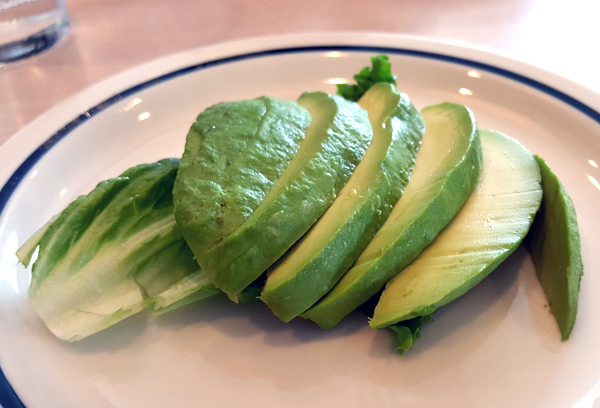 If I see a sandwich or a salad with avocado on it, then I know they have avocado in the kitchen – and I’ll ask for a side of avocado slices in place of whatever side item I need to eliminate. 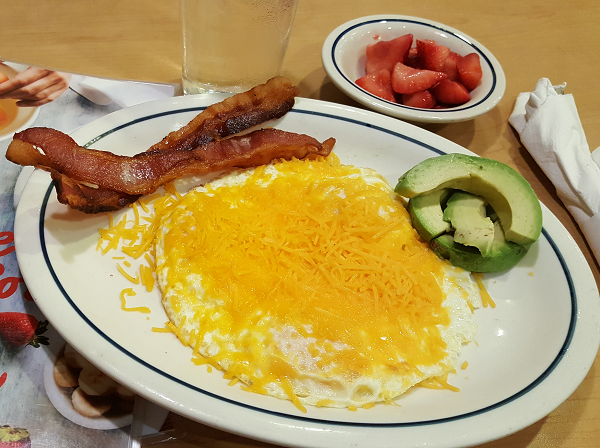 IHOP makes it easy because you could sub any side or item in a meal with: bacon, hard or soft boiled egg, strawberries, avocado, a slice of ham – or even a side salad. 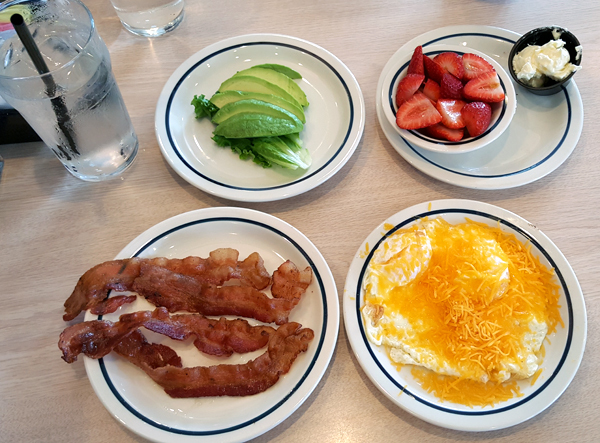 The photo below was taken at the IHOP in Raleigh, NC last Spring, where I enjoyed the same favorite low carb meal I showed you above. Get yourself a happy shirt! Of course there’s nothing wrong with waffles and pancakes and crepes! You can enjoy those at home where you can control the ingredients, and make them keto friendly & gluten free using my Amazingly Delicious Low Carb Waffles Recipe for example, which also makes rich & fluffy pancakes. This entry was posted in Low Carb Restaurants. Bookmark the permalink. I’ve been with you a little over two years. Never been to I Hop but made Dennys work for me when we were on vacation last fall. I will have to try I Hop now. This spread looks delicious! Makes me hungry now. What a great idea about dipping the strawberries in butter. I never thought of that but I will be trying it now. That is super advice for eating at IHOP. I would have ever thought I could eat low carb there. My world just got a bit bigger, LOL. You look so great, you really do. TFS. I order an egg and cheese omelet with shell eggs and sub a side salad for the side in the menu. Very consistent, and I get the salad to go. Wow, your IHOP suggestions were on point of all I like too. Thank you for the info. You’re so right about don’t open the menu, too many temptations! Eating at home is the only place we can control all the little details like what the cow was fed, or what oil things are cooked in, or any number of things. I prefer to just let it all go and live a little. Thanks Terry for the advice and info. You break it down really simple. I also love the fact you point out it is MY RESPONSIBILITY to be informed and to eat properly. Too many people allow a situation to control their eating choice. That’s true. I also said that from the perspective of being a server in a past life too. 🙂 I think it’s more considerate of us to be prepared (us, being the ones who choose to eat healthy, lose weight, be on a diet, etc etc) than it is to put it on anyone else – like our dinner companions or servers. I’m glad, Jamie. 🙂 They have such great “whole food” low carb options, with the freshest strawberries and avocado EVERY time I’ve been!